May | 2012 | mookology. 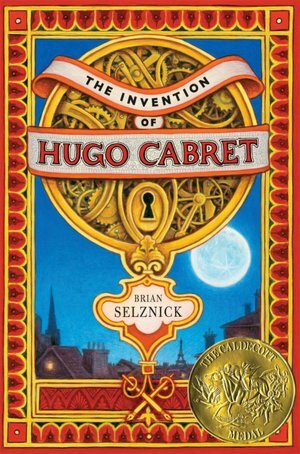 The Invention of Hugo Cabret is a delightful childrens historical fiction novel by author and illustrator Brian Selznick. 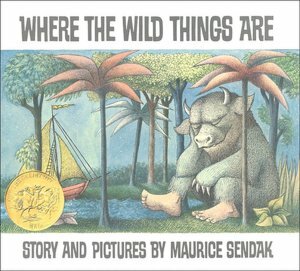 At first glance, the story seems quite hefty in length for a childrens book but Selznick’s illustrations account for at least half of the book. The artwork was something I found interesting and, moreso, entertaining. One of the reasons I love mooks so much is because words and imagery are so intertwined in what they are meant to do; when done purposefully, both can accomplish the telling of a story. In Selznick’s case, his illustrations convey equal amounts of action as his words and you could easily grasp the concept of the story through this visual aid. I was captivated by The Invention of Hugo Cabret. I had put my mind to reading it several times, but found myself unmotivated to actually pick up this book. However, once I began reading I could not put it down and finished the story within a few hours. Hugo, our main character, is as intelligent as he is determined but at the same time he is a lonely, orphaned child. I loved how honest his character was portrayed. He was hesitant to trust and hell-bent on uncovering the meaning of his life. 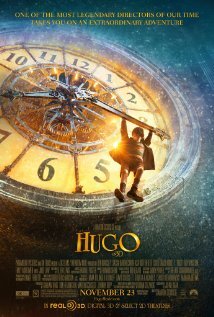 The mystery surrounding the automaton, Hugo’s father, and Georges Méliès is evident in Hugo’s thoughts and when it finally comes full circle, Hugo is given the opportunity to live as a child again. The characters that help him along the way become Hugo’s family, and happily ever after doesn’t seem quite so corny in this story. I can easily see why Selznick’s book was a best seller and a child favorite. It is definitely the kind of book I can picture myself reading to my future children every night in bed. At the end, The Invention of Hugo Cabret is a wonderful tale of adventure and education. I thoroughly enjoyed it! The 2011 film “Hugo” was a major success for legendary director Martin Scorsese and won 5 Oscars in total, ranging from Best Cinematography to Best Visual Effects. From the first preview I saw for “Hugo” I was very interested in seeing the film and, after reading Selznick’s book, I truly could envision how it could have been adapted. There were many things that made this movie successful in its own right. Everything about the setting and cinematography revers a dream-like appeal and the young actors are incredibly successful at their parts; Asa Butterfield and Chloë Grace Moretz were phenomenal as Hugo and Isabelle, respectively. The adult roles of Georges Méliès and, much more involved than in the book, the Station Inspector emphasizes Hugo’s position in the story. He is an orphan and a thief trying to get by on his own. There were a lot of changes made in “Hugo” in terms of characters and their relationships. Something I liked was the heightened character of the Station Inspector. In the book, while feared by Hugo, the Station Inspector doesn’t pose too much of a threat until the one major chase towards the end. In the movie, the Station Inspector is more of a main character and we get to see his blatant cruelty. Also, the added information that he was an orphan himself shows his own loneliness and anger towards not having a family. It was Hugo and Isabelle’s friendship that bothered me the most. Hugo is very, very hesitant to trust Isabelle in The Invention of Hugo Cabret and really doesn’t want her around. The film changed this; Hugo enjoys her company relatively early on and they become fast friends, holding hands and having adventures. This bothered me a lot and made it seem kind of cheesy. Additionally, Papa Georges and Mama Jeans relationship with Isabelle’s parents is never mentioned – why?! It completely changes Papa Georges reason for quitting his films and makes it much less tragic. Visually, the movie was enjoyable and I can easily see why it gained such respect in the film world. Yet, like in SO MANY adaptations, senseless changes diluted the story and brought it to the surface level rather than giving the story depth. With a text such as The Invention of Hugo Cabret it barely makes sense to alter the story, given it wasn’t particularly dense or difficult to convey on screen. As a mook, “Hugo” left me disappointed. *UPDATE* – I would like to add that I did not see “Hugo” in 3D and therefore cannot comment on the 3D effects of the movie (though I am sure it was fantastic). I recently took a vacation out to Hawaii to visit some of my friends from college. 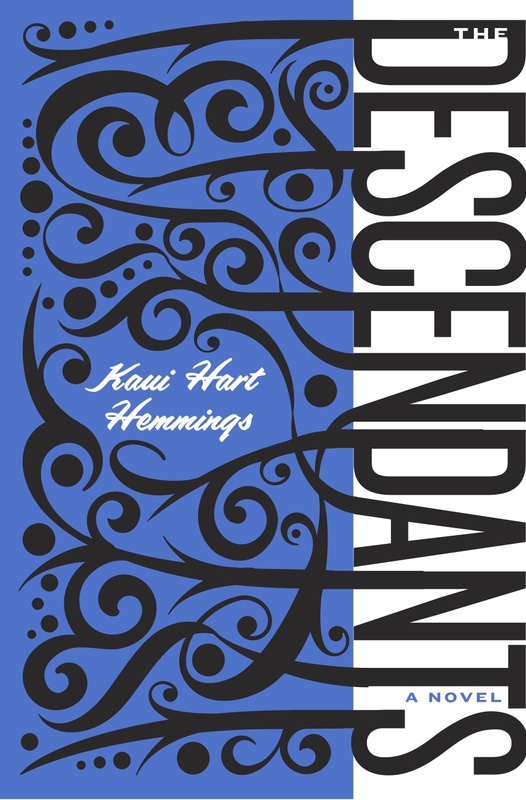 During the trip, I read The Descendants, which was the perfect beach read for my vacation considering it takes place all over the Hawaiian islands. I’d heard wonderful things about the novel alone and, after some major nominations and huge wins during award season, I knew the movie had to be touching and amazing as well. Hemmings writes with an ease and fluidity that is uniquely impressive. The Descendants is smooth and simple on the surface, with a much deeper meaning. Narrated by Matt King–a husband, father, and landowner who is facing many life-changing obstacles–this story is one where anyone can relate even though the actual plot is far off course than the average person could imagine. The characters struggle in different ways on varying levels, but they reveal something that not all fictional characters do: humility. The Kings, descendants of a royal Hawaiian ancestry and owners of one of the last true pieces of Hawaiian land, face an impending land sale with family trust in Matts’ hands. However, when Matt learns that his wife Joanie, who is comatose and dying, engaged in an affair during the last year of their marriage, his life course quickly changes. Matt sets out on a journey with his two daughters, 17 year old Alex and 10 year old Scottie (as well as Alex’s boyfriend Sid), to find Joanie’s lover and give him the opportunity to say goodbye to her before her death. The thing I loved about The Descendants was that each character truly served a purpose. Matt, who we learn is labeled by others as unemotional and distant, is incredibly passionate (although inwardly so) about the people he loves most – his family. Both Alex and Scottie, while distinctly different in personality, show how far removed Matt is from parenting as they are both brash and out of his control. The character I felt had the most redeeming qualities was Sid; a supporting character, but one who attributes to the novels meaning and plot turns. Sid is the result of his own set of family struggles, having just lost his father, and becomes the one responsible for the major turning point in the book. I really enjoyed The Descendants. It was an easy read that was still dense and heartfelt, and left you actually feeling something at the end of the journey. I definitely recommend reading this book! I had high expectations for this movie. Considering it won the Oscar for “Best Adapted Screenplay” and two Golden Globes (“Best Picture – Drama” and George Clooney for “Best Actor – Drama”) I felt that “The Descendants” needed to live up to the high standard on which it had been placed. Truthfully, it did not disappoint. It was a wonderful film and the screenplay, written by Kaui Hart Hemmings herself, definitely did the novel justice. 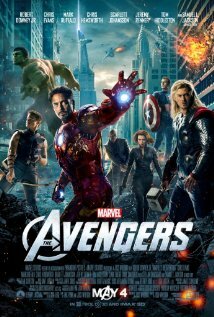 Yet, despite the positive reactions to this movie, there were a few changes that I just flat-out did not understand. 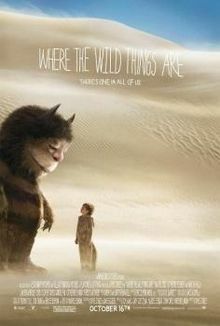 It didn’t necessarily hinder the quality of the movie but it had me questioning why the changes were made at all. First off, Joanie’s name was changed to Elizabeth. I’ve done some investigating (not very intensely, but a search nonetheless) on why this happened. Usually, if a name changes from page to screen, there is some sort of reasoning behind it. Maybe two main characters had names that have too similar pronunciation and may therefore confuse the viewer, or maybe a name is too representative of some sort of historical or popular media figure. Regardless, there is no explanation of why “Joanie” changed to “Elizabeth” and it caught me off guard. My major qualm with the movie was Sid. In the novel, Sid serves the plot and holds an actual place within the story. In the movie, Sid’s role is relatively meaningless aside from comedic relief. He does nothing. And I am sure many viewers were confused why such a character was written into the story at all. There is no exposition of his difficult past with his father (we only find out that he has passed away in a drunk driving accident) and he doesn’t have anything to do with the relationship between Brian and Julie Speer. He does not call Julie and tell her of her husbands infidelity – he doesn’t even interact with her once in the film! So, my question to Hemmings is, why bother to leave him in as a character? In my opinion, the movie would have functioned exactly the same without him. I also felt that Scottie’s role was played down a bit. We obviously can see that she is a disturbed kid, but the most excruciating moments we find in the book were missing in the movie. I understand time restraints must have affected this but I wished they found some sort of way to emphasize how screwed up Scottie was. One thing that really stood out with me in this movie was the music. A musical score can make or break a movie, and in “The Descendants” the music was perfectly fitting and timely with the films’ succession. 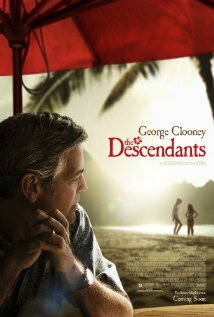 Overall, I enjoyed “The Descendants” but I don’t think it was the best adaptation ever made. Certainly not one deserving of an Oscar. There were silly changes made that could have been avoided and, if it were me, I just would have done things differently.